The Lego series of video games has never appealed to me before. Whether it was the simple rehashing of stories we’ve heard countless times before or the lack of voice acting that did it in for me confuses me. I mean all Nintendo titles have the same story and no voices yet I enjoy those a lot more. With Lego Lord of the Rings my bias for the series they’ve chosen could have simply been the main factor. It also helps that they pulled voices from the film to be their characters. Even the models for everyone in this game are modeled after their movie counterparts. As I started it up and fought my way through Middle Earth, it was definitely a much lighter take on the series. It was fun to battle through Moria, Amon Hen, Pelennor, and the Black Gate with characters I knew so well. As for the animation, it’s what players can expect from a game based off Legos; which isn’t a bad thing! It looks clean and facial expressions at certain moments are a nice touch. The level design at some points were confusing and frustrating; but once I calmed down I was able to figure it out and continue on my quest. The real fun will come when I try to go back and collect everything! I probably went through the story in a cool 12-15 hours; yet when I go back for freeplay to collect all the mithril bricks, characters, and everything else I could see that time going up to 30+ hours. 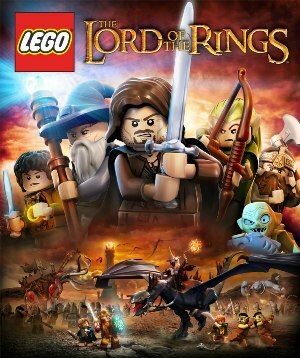 Maybe I should go back to the other Lego games to give them a chance now, but this was an adventure I wouldn’t mind going on again and again. 8.5 out of 10 Bigbluebullfrog Leaps!